You can’t talk about workers’ compensation insurance these days without mentioning “telemedicine” at least once. It should therefore come as no surprise that telemedicine was given its own panel discussion at the 2019 Workers’ Compensation Research Institute’s (WCRI) Annual Issues and Research Conference. Indeed, as Dr. David Deitz of Deitz & Associates noted, telemedicine is almost the perfect storm of improved healthcare services – and is already experiencing exponential growth in the commercial health sector. 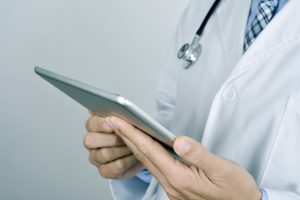 Citing the ATA, he noted that there were an estimated 1.25 million telehealth visits in 2016 alone – and that some sources estimate that over 400 million of U.S. medical visits could have been telemedicine encounters. But has telemedicine made inroads into workers’ compensation? Dr. Deitz pointed out that there is “essentially no quantitative data on [telemedicine] use in workers’ compensation.” Furthermore, he argued that there are several open questions when it comes to telemedicine: what are the appropriate regulations and reimbursement models? Is there a quality trade-off for telemedicine versus in-person encounters? Are there any privacy or cybersecurity concerns? Kurt Leisure, vice president of risk services for The Cheesecake Factory, offered some preliminary answers when describing his company’s new telemedicine program for worker injuries, implemented in February 2018. According to Leisure, the program basically works as follows. An injury occurs. If urgent, the injured worker proceeds directly to urgent care or the emergency room. If it’s non-urgent, the worker calls the company’s nurse triage system for preliminary care. If the phone call isn’t enough, the worker has the option of being escalated to a telemedicine program on their smartphone. What have been the results so far? Generally positive, with the program leading to $153,000 in hard dollar savings in 2018. But Leisure did note that there are still wrinkles that need to be ironed out. Identification of telemedicine candidates during the triage phase needs improvement. Employee trust in the program could also improve. But the injured workers seem to approve of the program. “Overall, I’m really excited, there’s a lot of upside potential just in our initial program,” Leisure said. “I think it will explode over time.” One particular benefit of telemedicine could be keeping workers and employers out of the courtroom. “We think the litigation rate is going to drop significantly” with widespread and effective telemedicine, said Leisure. Indeed, despite some open questions about workers’ compensation adoption of telemedicine, the panel agreed that the industry would benefit tremendously. “Telemedicine basically gives you a conduit through which you can achieve better case management,” said Dr. Dawkins.